The 2018-19 Big Bash League is just around the corner, and we're continuing our BBL08 previews of all eight teams this season. 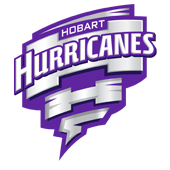 We’ve already taken a look at the Melbourne Stars, Brisbane Heat and both Sydney teams, and now we're into the top four from last season, starting with the Hobart Hurricanes. The Hurricanes retained their two imports from last season and although Tymal Mills was under pressure to hold his place in the side, he is an experienced T20 bowler and can hopefully stand up in BBL08. Jofra Archer was the real success story last season, with his incredible athleticism and the excitement he brings whether he’s batting or bowling. Dan Christian has moved on, but they have filled the all-rounder hole nicely with the additions of James Faulkner and Johan Botha. Faulkner has been well out of form though, and hasn’t been considered for the Tasmanian shield side this season. Can they fit both of them into the side? The strength of the Hurricanes, at full strength, is clearly their batting. They have potential match winners in every slot, and even their bowlers are quite capable with the bat. The problem will be if their players are called up for international duties, then their batting depth has some question marks. D’Arcy Short launched his career off the back of the Big Bash, and if he’s not playing in the Australian ODI or T20 side, then he’ll again be the key to the Hurricanes at the top of the order. The other player recently getting exposure in the national side is Ben McDermott. He’s a player of the future and dynamic hitter who is capable of big things in BBL08. Another important cog is Matthew Wade who is leading the country for Shield runs at the time of writing, and in the discussion for a call up to the Test side as a pure batsman. And of course, the Hurricanes also have the current Australian Test skipper in Tim Paine in their lineup. Lose some or all of those guys, and the Canes may be exposed. Simon Milenko is perhaps the one who might not squeeze into a best XI, but has improved a lot with his batting to be a real threat in the T20 format if he gets an opportunity. There will be a huge reliance on imports Jofra Archer and Tymal Mills with the ball. If they can get early wickets then it will set up the Hurricanes for victory. If they don’t then they will turn to trying to contain their opposition – Johan Botha and Clive Rose are slow bowlers who are very effective at this. The wildcard might be West Australian David Moody. Injured for last season, Moody will feel like a new recruit for the Hurricanes, and might be the extra bowling depth that they desperately need. The Hurricanes have all the weaponry to again be in the finals action in BBL08. Their best side is as good as any, but if they lose players to international duties then they might feel the pinch.